Cell membranes can be modified using cyclodextrins loaded with lipids or unilamellar liposomes. 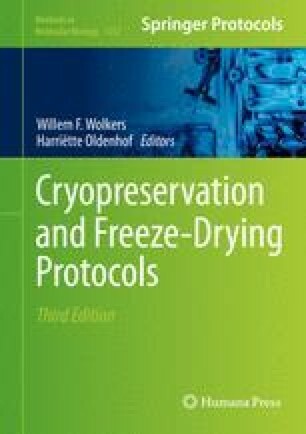 Lipid choice can greatly influence the organization of the targeted membrane and result in a cell that is more capable of surviving cryopreservation due to altered membrane-phase transition properties or membrane reorganization that may alter the normal physiologic processes of the treated cell. The protocols described here explain the preparation of the cyclodextrins and liposomes, impact of the amount and type of lipids, and general principles for treating cells using either of these technologies.